currently under construction at 6606 Variel Avenue, Los Angeles. The development is scheduled for completion in 2019. Evolution Warner Center has a total of 277 units. 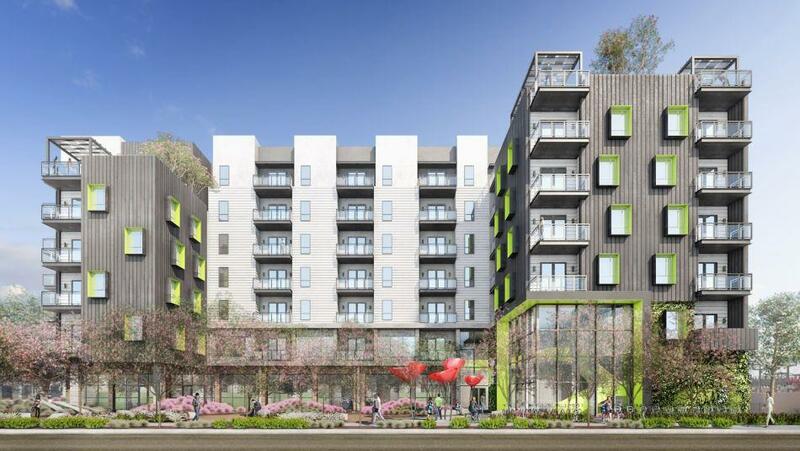 Evolution Warner Center is designed to include 277 luxury apartment units in the heart of Warner Center 1 block walk from the Orangeline Bus Expressway at Variel Ave. Containing several high tech features and state of the art amenity spaces such as a resort style pool/spa and fitness center, internet lounge, pet wash, bicycle kitchen, rooftop BBQ terraces, and outdoor community kitchen, the project features modern architecture designed in conjunction with City leaders, and will serve the most discriminating resident who chooses to work and live and play in this neighborhood. Warner Center is near capacity with high demand for new housing amidst a huge expansion of regional mall and office space creating strong job growth, which bodes well for this assets investment performance in the long term. Your inquiry will be delivered to the developer / builder of Evolution Warner Center, who will send you more information about this development.